The Excluded Middle: Can you eat it? Are you infected with the Logic Memeplex? Let’s run a quick field test, just to be sure: have you heard about the Law of the Excluded Middle? If so, you’re most likely infected. At least partly. It may be dormant. This law, alongside its two mischievous bed fellows — The Law of Non-Contradiction and The Law of Identity — planted the seeds from which modern logic sprang. And upon the branches of Logic’s Tree grew the Fruits of Reason. But what if in his rush to create an internally coherent system of logical relationships, Plato accidentally excluded far more than a non-existent middle? In fact, I believe he did, and wish to make the case that much of the friction between closely-held perspectives within our modern world traces back to this fateful wrong turn. Ok, ok, I admit it: I’m a Californian who eats an ungodly amount of avocados, so the example’s a bit provincial. But stick with me. How should we go about answering this question? Well, first it would seem appropriate to begin with the concept of fruit. Fruit, the word, is a series of letters strung together into a symbol. We call this kind of symbol a word. And we map these words to categories of things in the world. Yes, it’s a large image. Good for consideration, right? 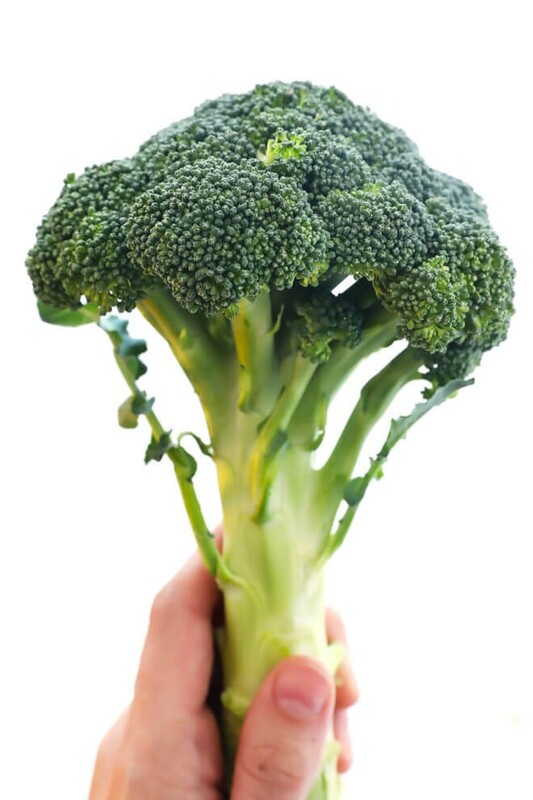 Should we put broccoli in our fruit bucket? Fruit: the sweet and fleshy product of a tree or other plant that contains seed and can be eaten as food. Have we come closer to an answer? Well we now have quite a few more buckets we need to define: sweet, fleshy, tree, plant, contains, seed, food. Does an avocado belong in all these buckets? Don’t worry, we’re not going to exhaustively define all the buckets, because as we’ll see later: doing so is in fact impossible. The point is, an apparently simply question about an avocado seems to be exploding in complexity very quickly. Of course, in the name of saving time, people are unlikely to fully explore the entire surface of every bucket in order to make sure that none leak. 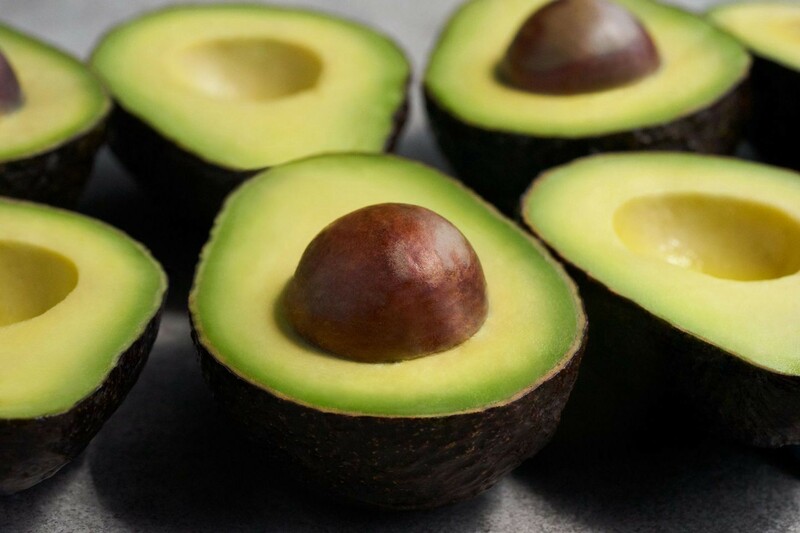 Technically — for the curious — an avocado is a berry. Which also makes it a fruit, because berries, you see, are a sub-category of fruits. Makes perfect sense, no? Vegetable: A plant or part of a plant used as food, typically as accompaniment to meat or fish, such as a cabbage, potato, carrot, or bean. Err… Ok. It sure seems like an avocado also meets this definition. After all, avocados are parts of plants, and I often begin my day by eating one with a side of bacon and eggs. Are you frustrated yet? Perhaps a bit hangry? So, what the f*ck is going on here? Welcome to the limit case of abstractions, brought to you in the convenient, nutritious, and best of all creamy form of an avocado. These category-buckets we unthinkingly use to describe the world — to give our world the appearance of simplicity, not to mention the pragmatism of functionality — are in fact quite leaky. It’s not so simple to exhaustively prove the case that an avocado either is, or is not, a fruit. Doing so requires establishing a limit to the degree of specificity one is willing to include and, more practically, how much time we’re willing to spend arguing about avocados. Ok then. Well what if we were willing to spend an infinite amount of time plugging our leaky buckets? Perhaps some brilliant person should dedicate their life’s work to creating a system in which leaky buckets cannot even exist! Well, leave it to the Brits to produce just such an avocado-resenting a̶s̶s̶h̶o̶l̶e genius. 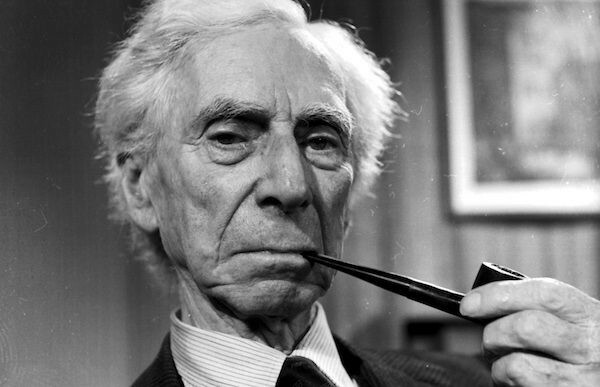 His name was Bertrand Russell — a rather famous mathematician and philosopher — who dedicated a substantial amount of his career to plugging leaky buckets. In other words, he attempted to build a formal system comprised of a finite set of rules — or axioms, as the avocado-haters say — that would conclusively demonstrate the capacity to prove all mathematical truths using a single system of buckets. Good old Bertie. Could you look more like the guy trying to spoil all the world’s fun, even if you tried? It was called the Principia Mathematica, and the math was just as fancy as the title. Unfortunately for old Bertie, it wasn’t fancy enough. Like Icarus before him, he flew too close to the Sun, melting his supposedly water-tight axiomatic wings and leaving his dreams of leak-free buckets grounded. You know this man loves him some avocados. 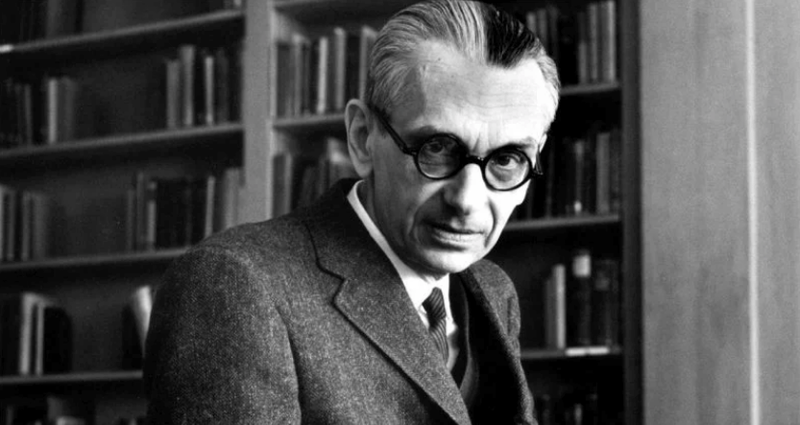 Using a touch of creative math, Gödel demonstrated that beyond the mere impossibility of Russell’s leak-less dream, its impossibility flowed directly from what it attempted to accomplish. That is: when you try to create a leak-free world, you generate the very conditions that give rise to leaks. So we’ve shown that binding the abstractions of logic to the processes of the real world — when examined under a slightly more powerful microscope — proves far more difficult than our old friend Plato let on. Ok, so we know that binding abstract categories to the real-world is not only tricky, but quite literally impossible to do without creating leaky buckets. But why should that be the case? Perhaps it’s because the world we inhabit is fundamentally comprised of dynamic processes that have emerged and stabilized across time, while abstract symbols remain bounded in their capacity to represent the full richness of such processes. Hold up. I thought we were discussing avocados and buckets, not emergent dynamic processes. What gives? Well, consider what happens when you leave an avocado in your fruit bowl for too long: it goes bad. But that’s odd. The avocado didn’t sprout legs and go anywhere, let alone a place called bad. Or did it? Well, it didn’t travel anywhere in space. But what about across time? Ah, I’ll bet you didn’t know avocados were also time-travelers. But of course, like any other living process, the avocado must persist across time. Or, at least, it must persist until I incorporate it into my own process by way of insertion into my mouth, or perhaps toss it into the compost if it has gone to the bad place. But why doesn’t it simply refuse to take the trip? Why does it allow itself to be carried to the bad place with the passage of time? Well, when baby avocado leaves the warm, rustling foliage of mommy tree, its umbilical cord is cut, and just like us, its birth marks the starting line of a race toward death. And as it turns out, being embedded within the kinds of processes that give rise to a tree also helps the baby avocado resist the dis-integrating effects of the kinds of processes that voraciously engulf it upon detaching from the life-giving energy and nutrient flows subsidized by its ancestry. In other words, when it leaves mommy tree, sh*t gets real for baby avocado. Boltzmann: A mind truly ahead of its time. 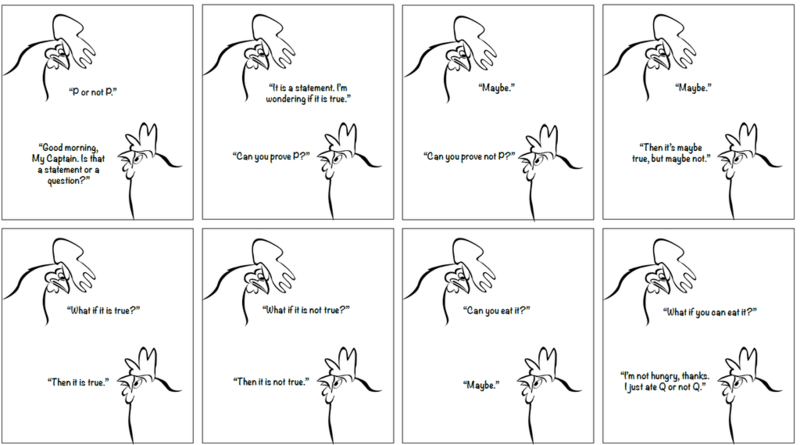 But perhaps we should seek a slightly more formal way to discuss the interactions of these various processes. Lucky for us, another dead guy — this time one with an awesome beard rather than a silly pipe — was all over it. That is, he was all over it, until he offed himself because A̶u̶s̶t̶r̶i̶a̶ ̶d̶i̶d̶n̶’̶t̶ ̶h̶a̶v̶e̶ ̶e̶n̶o̶u̶g̶h̶ ̶a̶v̶o̶c̶a̶d̶o̶s̶ ̶t̶o̶ ̶f̶e̶e̶d̶ ̶h̶i̶s̶ ̶h̶a̶b̶i̶t his peers didn’t believe the theory he spent his life creating. 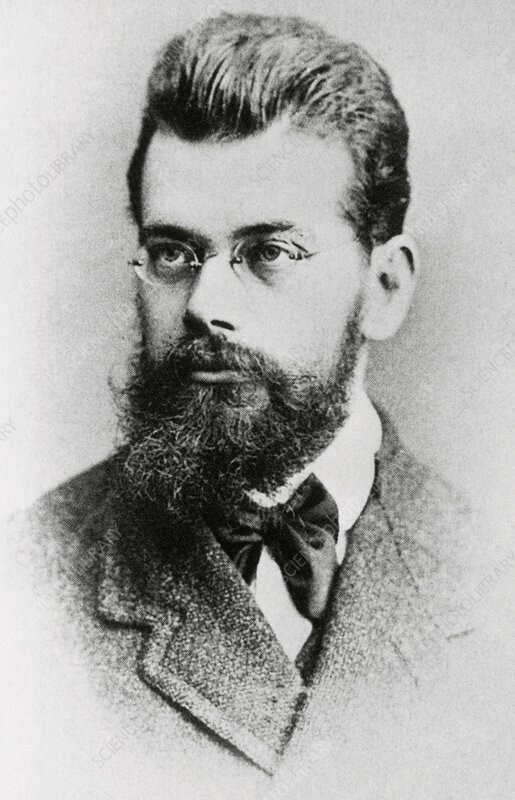 His name was Ludwig Boltzmann, and he was the first person to formalize the concept of entropy. The details of entropy are somewhat tricky, but let’s just say it’s a word we use to describe the fact that unless you keep adding energy to a coherent process, the process will become increasingly random over time. Of course, when it comes to living systems, increasingly random eventually converges upon death and decomposition. This means that everything around you, at every moment, is comprised of processes embedded within an inescapable struggle between order and chaos. At every scale processes that facilitate the persistence of ordered information across time must constantly resist those that slowly disintegrate anything and everything that requires energy to persist. You might now see why living processes require a constant flow of energy. 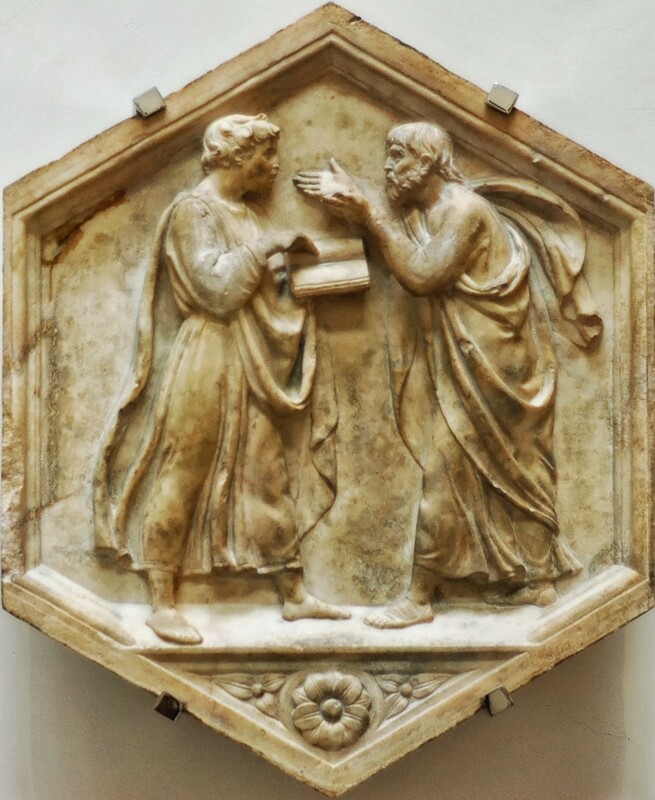 As it turns out, our good friend Plato knew jack sh*t about entropy, cells, evolution, or pretty much any of the processes we’ve since come to view as essential to originating, maintaining, and differentiating that which we call life. Of course, we can’t really fault him for this. He also thought the world was made entirely from fire, earth, air, and water, and it wasn’t exactly like anyone could prove otherwise back when most people weren’t even wiping their arses. Ok, ok, I know, I’m being mean. To give credit where credit’s due, the very processes by which we began to understand and categorize the aforementioned discoveries owe much of their existence to Plato’s three laws. Without the structured thinking that flowed from his logical axioms, it’s unlikely we’d have figured out how to systematically catalogue and comprehend the the processually-layered network within which we find ourselves embedded. But — like a rutting Elephant — that which is powerful can quickly turn dangerous. And as it turns out, the application of analytic logic has become quite the Tyrannical King. Within the eyes of the logically programmed, the ramifications of Plato’s laws too frequently occlude the retinal surface, extending the human blind spot to all that lies within the excluded middle: namely, the majority of complex interactions between emergent processes. Logic and its laws gave humanity a hammer of unrivaled power, and our minds have slowly come to see a World of Nails. Yet the processes that give rise to experiential reality extend far beyond this metallic domain. For those willing to look a bit closer: hammers and nails, too, are but emergent processes. 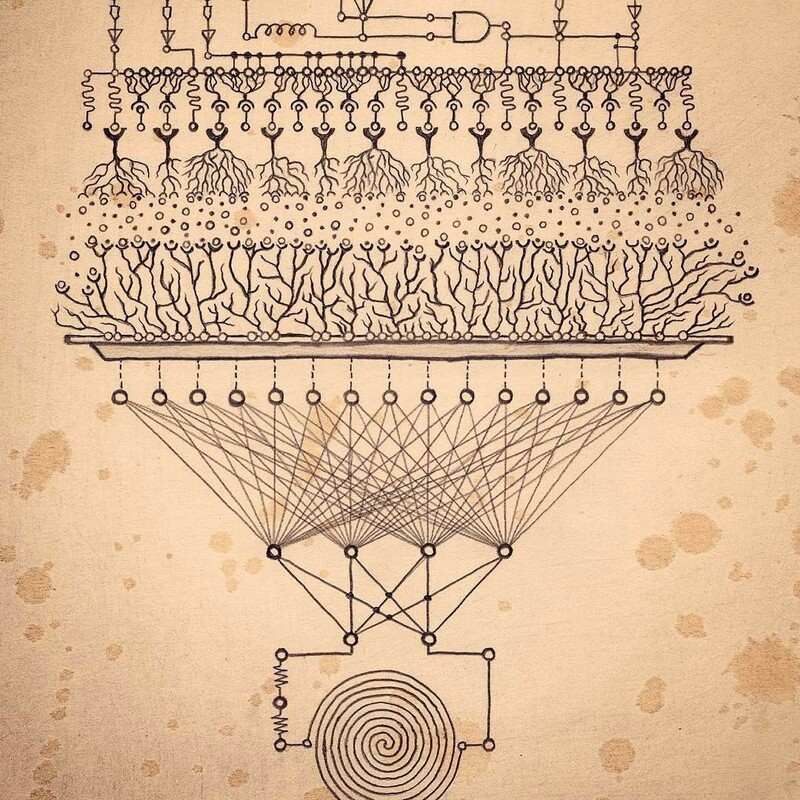 Autopoiesis, as depicted by the artist Corrine Antoinette Fedchun. And herein lies a fundamental tension of perspective: do we interpret our world top-down, or bottom-up? Do we apply the rational categories of convenience, knowing full well the buckets it provides will remain forever leaky, or do we dive into the infinitely complex milieu of emergent processes and their autopoietic unities? Of course, like so many other human decisions, the balance has tipped in favor of time-constraints. And I get it: people like to accomplish things before they die, and life simply isn’t long enough to deal with the infinitely complex. Sure. Fine. Unfortunately — or perhaps fortunately for complexity-obsessed minds like my own — humanity can no longer afford to ignore this tension and the friction it generates. In today’s world, the friction created by this tension is everywhere starting fires. It lies at the heart of debates concerning modern vs post-modern perspectives. It animates the cyclical oscillations between centralized and decentralized management of collective action. It’s the devil that sits upon the shoulders of those driven to compulsively debate the carrying capacities and points of leakage within and between the vestigial category systems humanity has created throughout its ascendant history. Make no mistake: we may resolve none of these issues at surface level — and it’s a fools errand to spend precious time attempting such a futile endeavor. Or, wait… Perhaps we’re trying to swim to its surface? To more fully comprehend the complex reality through which we swim, we must learn to hold both bottom-up and top-down perspectives simultaneously within the mind. We must practice using our categories as tools, while understanding that if we pursue their edges deep enough, what once seemed like concrete edges will transmogrify into its their own processual ecologies. We must understand that the excluded middle of one layer only appears empty when looking at the system top-down, but that when viewed bottom-up, the supposedly infertile soil of the excluded middle can in fact spring to life. In this manner we may construct a stable path between the analytic and the emergent. We may bridge the once disjoint worlds inhabited by Russell and Gödel; we may embed Plato and Aristotle within an autocatalytic loop; and perhaps we may even replace with intelligent membranes the innumerable leaky buckets that give rise to volatile factionalism within our contemporary landscape. Such a lens — one that weaves together the analytic and emergent into an alchemical, perhaps even magical, epistemic meta-material — might even catalyze the process of constructive dialogical flow between the traditionally analytic grammar of the Scientific, and the fundamentally emergent grammar of Spirituality. It’s a grand challenge set before us, but it’s one we must overcome if we are to successfully navigate the increasingly narrow channels ahead. Of course — if we succeed— you can expect avocados at the buffet. P.S. For those who want to follow the rabbit hole further, a brilliant mind with similar intuitions concerning the Law of the Excluded Middle went and did more than write a Medium post about it: his name was L.E.J Brouwer, and he created the philosophical and mathematical perspective known as Intuitionism. I suspect that this perspective is not dead, but merely waiting in the wings, ready for a good dusting in service of pursuing the goals outlined above.